Let David LeRoy Plumbing Keep your Heating System on Track! It’s very important to keep up on the health of your heating system so your home is comfortable when winter arrives. 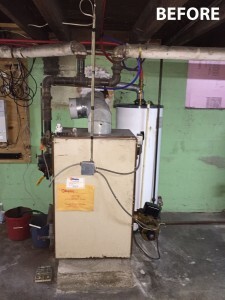 Emergency furnace repairs in the middle of winter can be very expensive, which is why we suggest that our customers receive furnace maintenance during the off-season. Furnaces are used to heat air which is then delivered to different areas of your home by a duct system. The problem with this process is that a significant amount of energy can be lost through your ducts. In fact, a large amount of air that is heated will often never actually reach its destination. Why waste heat and money this winter, have one of our specialists check your heating and duct systems to reduce the amount of heat lost and reduce your energy bills. furnace maintenance during the off-season. 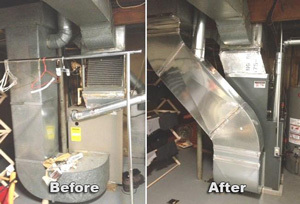 Furnaces are used to heat air which is then delivered to different areas of your home by a duct system. The problem with this process is that a significant amount of energy can be lost through your ducts. In fact, a large amount of air that is heated will often never actually reach its destination. Why waste heat and money this winter, have one of our specialists check your heating and duct systems to reduce the amount of heat lost and reduce your energy bills. At David LeRoy Plumbing, we strive to make your furnace as energy efficient as it can possibly be. Our mechanics specialize in all aspects of furnace repairs, installations, and maintenance, and we understand how important a properly functioning furnace is to your home. If your unit is old and needs replacement, is having a problem and needs a major or minor repair, or if you are interested in having a tuneup before the fall and winter months, David LeRoy Plumbing is the perfect company to get the job done right! We want to help save you money and avoid the stress of heating problems. 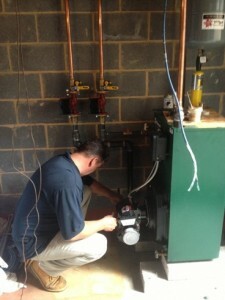 Boilers are extremely common in home heating systems. Unlike furnaces, they heat water which provides steam or hot water for heating a given area in your home. There are various methods used when it comes to heat transfer from a boiler. Hot water can travel to radiant floor systems or baseboard radiators through pipes, and steam can be delivered to radiator units which then heat your home. It’s important to make sure that your boiler is functioning properly in order to maximize its performance while minimizing its energy usage. Heating systems can make or break how comfortable you are in your home over the winter. Our boiler specialists can help you with any problems you may have. If your boiler is old, is not working properly, or if you would like a tuneup to make sure it stays as efficient as possible, David LeRoy Plumbing is the local company you can trust for all of your heating system needs in Harrisburg. Contact us today if you need boiler or furnace installation and repair. We’re here to help and offer free estimates, flat rate pricing, and 24/7 emergency service! 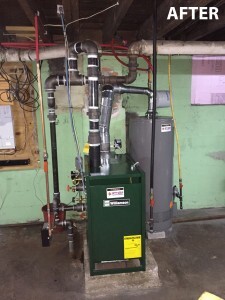 To learn more about boiler and furnace installation and repair or to speak with a friendly representative, call us today at, or contact us online.